My kids love board games. So do I, for that matter. But so many of them require so much work and/or setup (counting money, sometimes even building the game board, designating a “banker,” separating pieces, and so on) that it feels like it’s barely worth it most of the time. So I questioned the wisdom of requesting a new board game to review, but now that we’ve played it, I’m so glad we got this game! 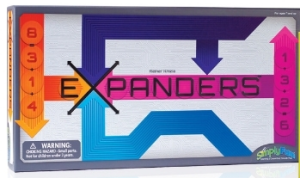 Expanders is a game from SimplyFun, a company dedicated to producing educational games for children and adults from “3 to 103.” Their games help children of all ages develop their communication, math, science, and critical thinking skills, all while having loads of fun. They have over 90 products, many of which have won them multiple awards – and for good reason. If our experience with Expanders is any indication, all of the games from SimplyFun are sure to be winners. Expanders is a game that emphasizes simple math skills – addition to 12. 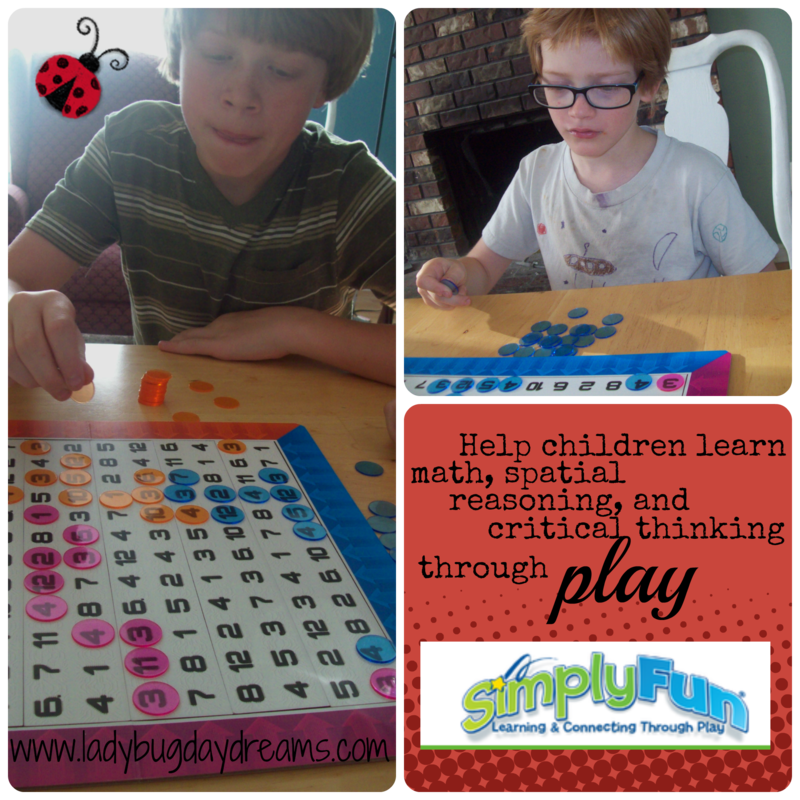 Besides the adding, children work on their spatial reasoning and critical thinking through the play of this game. I’ll explain that a bit as I describe game play. So, what’s in the box? There are six numbered strips (explanation on those to follow), two plain strips, a game board frame, a cloth bag containing four small plastic bags of colored tokens (I love that there’s a cloth bag included to keep everything organized! ), and game instructions. Now that your game board is built, each player chooses a color – blue, orange, pink, or purple. The frame is comprised of these colors, so each player sits next to their chosen color and selects the bag of tokens (32 of each color) that matches their color. The tokens are see-through, which allows you to see the numbers even after you’ve placed your tokens on the board. So, now that the board is built and each player has their colored tokens, play begins. There are three actions that players can choose from on their turn – excluding the opening three moves of the game. The first player must use exactly one token, and he can place it on any number on “his side” of the game board. This is defined as any of the numbers closest to his color in the frame. The second player must use no more than two tokens, and he can place one token on one number, like player one, or place two tokens on two identical numbers within his side of the board. The third player must use no more than three tokens, and he has the most options. He can make the same play as players one or two, or he can build an addition problem. This is done by selecting one number on his side of the board and saying it aloud. Then he finds two more numbers that are either touching the first number or made a chain starting at that number, and he says the math problem aloud. (Three is two plus one.) Starting with the fourth turn, players may make any of the three moves, with one exception: after the opening turns, any number of tokens may be played in a single turn using the “addition action.” (12 is 5+3+2+1+1 would use six tokens, for example.) The goal of the game is to be the first player to use all of his/her tokens. The main rule to keep in mind is that when building an expanded number, your numbers must all be in a chain and the first number (the sum) must be either on your row or touching one or more of the tokens (horizontally, vertically, or diagonally) you’ve already played. When using one of the other playing options, the same rule for placement. The only thing we didn’t like about the game was the required first three turns. 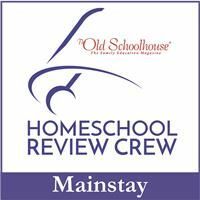 Once we got the hang of it, there was always an argument over who “had to” go first (the way of determining based on the instructions – whoever was the most recent person to download an app – doesn’t work for our family since the children don’t have access to smart phones or tablets). It became clear very quickly that the first player was at a severe disadvantage over the third player. Expanders sells for $34, and if you act quickly, you can use coupon code SHREVIEW to get 15% off your first purchase (of any game in their catalog) through July 31st. 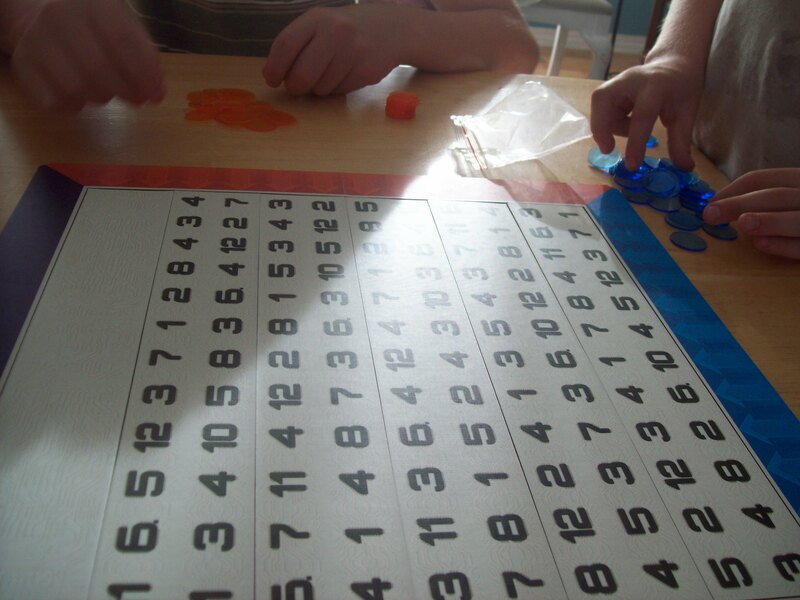 It’s recommended for ages 7 and up, and I think that’s pretty accurate; students need to have a fairly strong understanding of addition to play the game successfully. 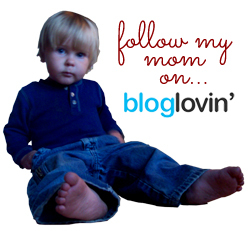 Our family highly recommends this Simply Fun game! As always with Crew reviews, I’m not the only person writing about SimplyFun games this week. Members of the Schoolhouse Review Crew received either Expanders or Shape Whiz (a math game for older kids) to review. 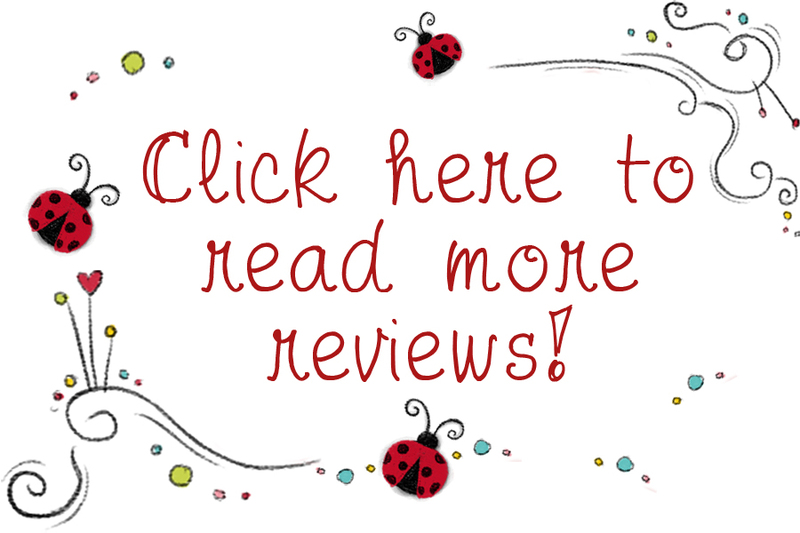 Click the banner below to read more reviews on both of these games!